AchilloTrain® has a three-fold therapeutic effect. AchilloTrain® has a three-fold therapeutic effect: the support alleviates pain and activates the musculature. A pad running along the Achilles tendon distributes the pressure uniformly but does not reduce wearing comfort. The massage effect stimulates the metabolism and helps to reduce oedemas. An integral visco-elastic wedge further relieves the Achilles tendon. 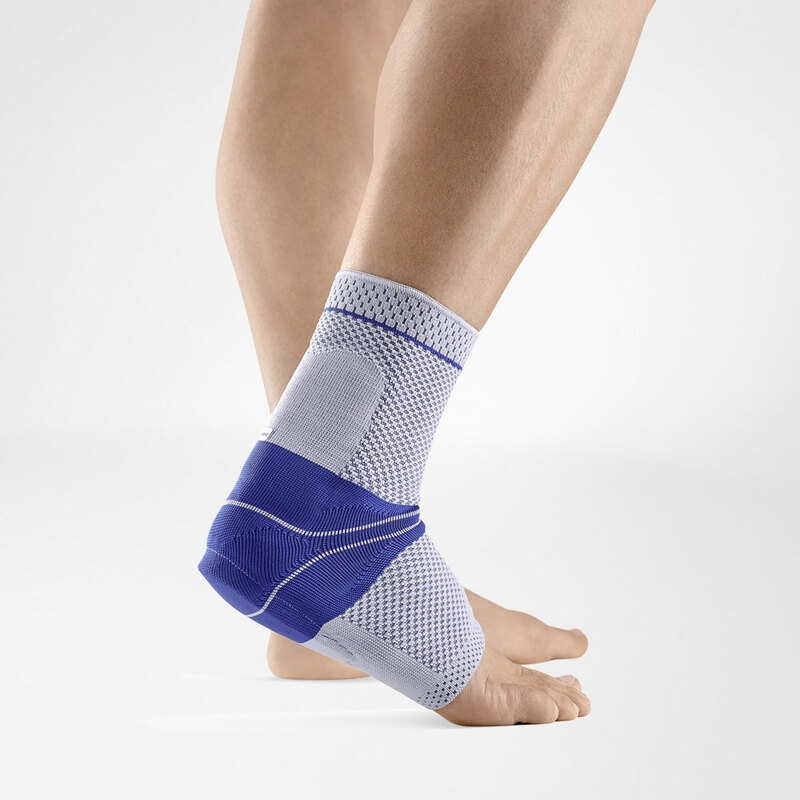 Thanks to the especially stretchy, three-dimensional anatomical knit, AchilloTrain® sits optimally even in the instep. The breathable material prevents the accumulation of moisture. The integral heel wedge is removable and a separate heel cushion is provided for the unaffec-ted leg to offset the length difference. Indications: Achillodynia (paratendinitis, tendinitis, Achilles bursitis e.g. in Haglund's deformity), Follow-up treatment of Achilles tendon ruptures. Size: I (17-19cm), II (19-21cm), III (21-23cm), IV (23-25cm), V (25-27cm). Ankle circumference in cm.